Yannick Nézet-Séguin talks to WRTI's Susan Lewis backstage. 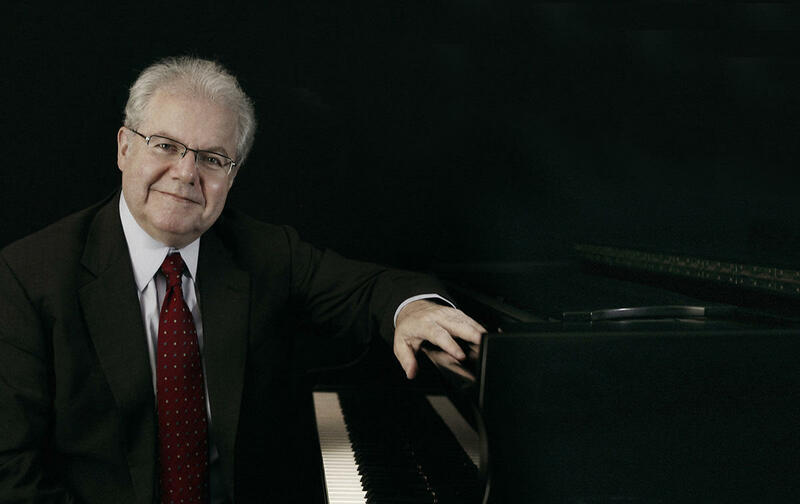 The Philadelphia Orchestra in Concert broadcast on Sunday, Feb. 10 at 1 PM on WRTI 90.1 and Monday, Feb. 11 at 7 PM on WRTI HD-2, brings pianist Emanuel Ax to the stage of Verizon Hall, in a performance of Johannes Brahms’s Second Piano Concerto. Also on the program is the U.S. premiere of Stacey Brown’s Perspectives, and a work by a composer whom Brahms ardently championed, Antonin Dvořák, whose impassioned Symphony No. 7 closes the afternoon’s concert. The Brahms Piano Concerto No. 2 is a gargantuan work, and it lasts longer than any other major Romantic piano concerto by quite a bit. Brahms was an absolute master of writing for the piano, and as this expansive, four-movement concerto demonstrates, he was able to blend drama, passion and fire with tenderness, in the most remarkable of ways. It’s one of the giants in all of Romantic music, and always a special treat when performed by Manny Ax, long-time friend of The Philadelphia Orchestra since his first performance with them in 1970. Canadian composer Stacey Brown is originally from British Columbia, but has lived and worked in Montreal since 2002. Her work Perspectives was given its premiere in May 2017 at the Maison Symphonique in Montreal, with l’Orchestre Métropolitain under the direction of Yannick Nézet-Séguin. It’s U.S. premiere is given with the performance we’ll hear Sunday. At times dissonant, at times consonant, it creates patterns that allow for different perspectives, with instruments moving forward, then receding, musical motifs examined from different sharp angles – almost a work of Cubism in music. The “perspective” is never the same when holding the motives up for examination. Concluding the concert after intermission, one of Antonin Dvořák’s towering achievements, his Seventh Symphony. Brilliantly-scored, Brahmsian in the best sense, but with a Slavic soul, it perhaps can’t compete in popularity with Dvorak’s New World Symphony, but it is a supreme example of symphonic writing, and one of the most important works in the post-Beethoven development of the symphonic genre. During intermission, WRTI's Susan Lewis will speak with Yannick. That’s Sunday, February 10th from 1 to 3 PM on WRTI 90.1 and streaming worldwide at wrti.org. Animals and nature are as big a part of Hélène Grimaud’s world as playing concertos with the great orchestras of the world. For years, the concert pianist's earnings went into the creation of the Wolf Conservation Center for endangered species in upstate New York. Then, after seven years of living in Switzerland, she's living back in North Salem, New York where the Philadelphia Inquirer's David Patrick Stearns befriended her German Shepherd Chico.